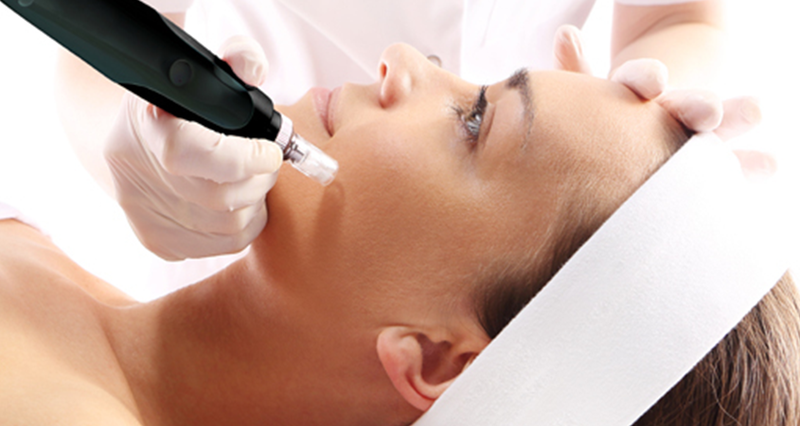 Microneedling is a form of collagen induction therapy. The tip of the Collagen PIN contains sterile micro-pins that are used to create micro-injury sites at precise depths in the skin. This treatment makes use of the skin’s natural healing process to stimulate collagen, growth factors and elastin production. The result is a reduction in the appearance of textural issues. The Collagen PIN treatment is paired with specialized products to maximize the benefits of treatment. Before | After: Among other things, Microneedling addresses textural issues, which is why it can be used to treat facial acne scarring. 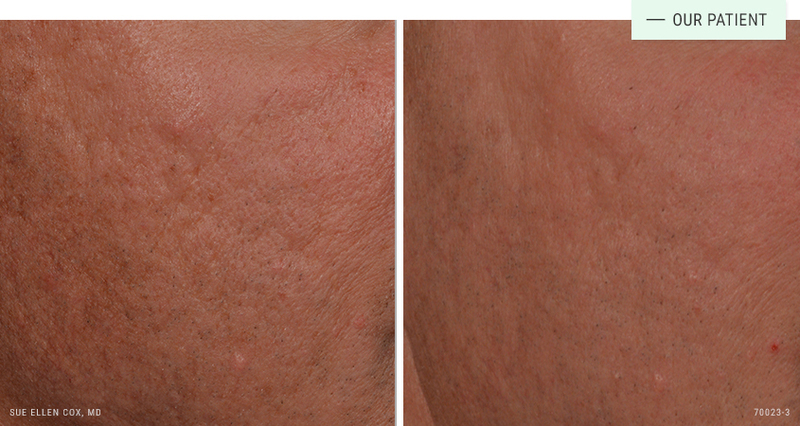 Before | After: After a series of Microneedling treatment, this patient saw a noticeable improvement to acne scarring on his cheeks. The Collagin PIN is cleared by the FDA to safely treat a variety of issues related to skin texture. It has an excellent safety profile. Like any surgical or non-surgical procedure, there are risks associated. As a teacher and trainer of other physicians in safe, effective resurfacing procedures, Dr. Cox stresses the importance of finding an experienced provider supervised by a physician who understands the finer points of collagen induction. Microneedling is well tolerated. Your Aesthetician will move the tip of the Collagen PIN across the treatment areas, creating precise micro-injury sites and delivering specialty product or Platelet-Rich Plasma (PRP) to deeper layers of the skin. You may feel a prickling sensation and mild discomfort. Many patient report no discomfort at all. The procedure typically lasts about 20 minutes Numb gel may be used in advance of treatment for more sensitive areas. Microneedling may require downtime. Recovery depends on the intensity and treatment area. Some patients experience mild redness, swelling and discomfort, while others experience scabbing and more moderate swelling. This typically resolves in three to seven days. The Collagen PIN produces noticeable improvement of fine lines and wrinkles, acne scarring, pore size, stretch marks and other textural issues. The Collagen PIN is most often used on the face, but can treat scarring and stretch marks on other areas of the body. 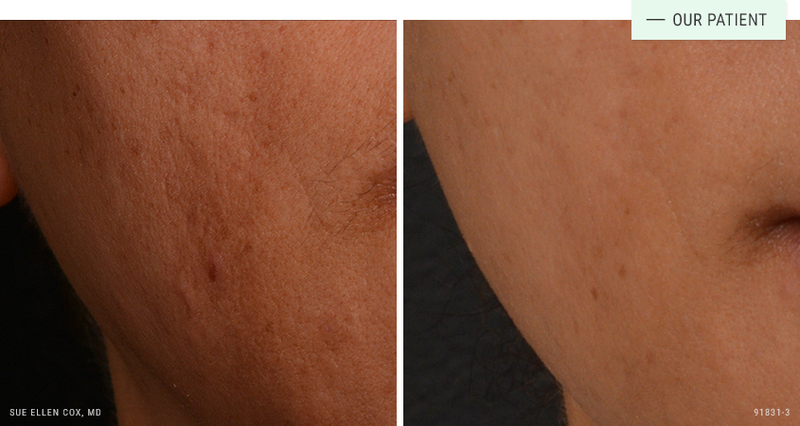 It is possible to treat multiple areas of the skin in a single session. A series of treatments produces the best results. I have gone to Aesthetic Solutions for two different procedures over the past 5 or 6 years, a tattoo removal and micro needling. For my tattoo procedure it took around 5 procedures to get the effect that I wanted on my arm. You can only ever so faintly see the outline of my tattoo in a very specific lighting. Overall, I was very pleased. I am currently undergoing the micro needling procedure. I am on my third treatment. I can totally see the effects. After my second I could. My skin looks renewed or rejuvenated. I have had others comment on my skin as well. I highly recommend this treatment to anyone, like me, who had to go through the fun teen years and has the acne scars to prove it. Thanks, Aesthetic Solutions! I was impressed by Dr. Cox's experience and choosing individually what was best for my face, I have different types of scars. She chose the microneedling procedure. My face is so much smoother. The scars aren't nearly as noticeable. I have had quite a few people ask me what was I doing. They could see a difference in the texture and smoothness of my face. I am getting so many compliments on how great my face looks. I am feeling much more confident in myself, and my appearance. She is my hero.